The Seeds of Divinity exhibition grew from a robust, three-year collaboration with the Worcester Art Museum (WAM), designed to leverage the strength of WAM’s collections together with WCMA’s capacity in working with faculty and students to teach with art objects and develop exhibitions based in primary research. 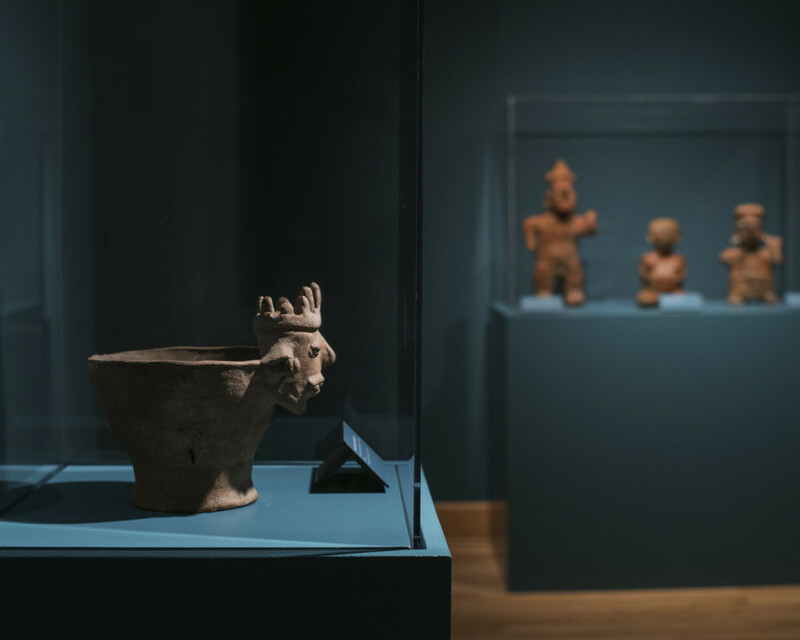 Professor Antonia Foias, Williams Chair and Professor of Anthropology, mined WAM’s extraordinary Pre-Columbian collection for representations of the human and spirit body. 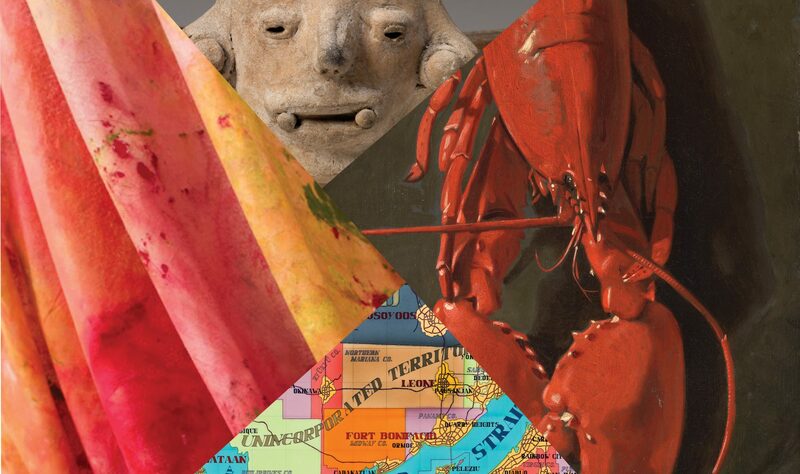 In an early phase of the project she worked with students on independent projects, bringing them to Worcester for close study of works in the museum’s permanent gallery installation as well as objects in storage. 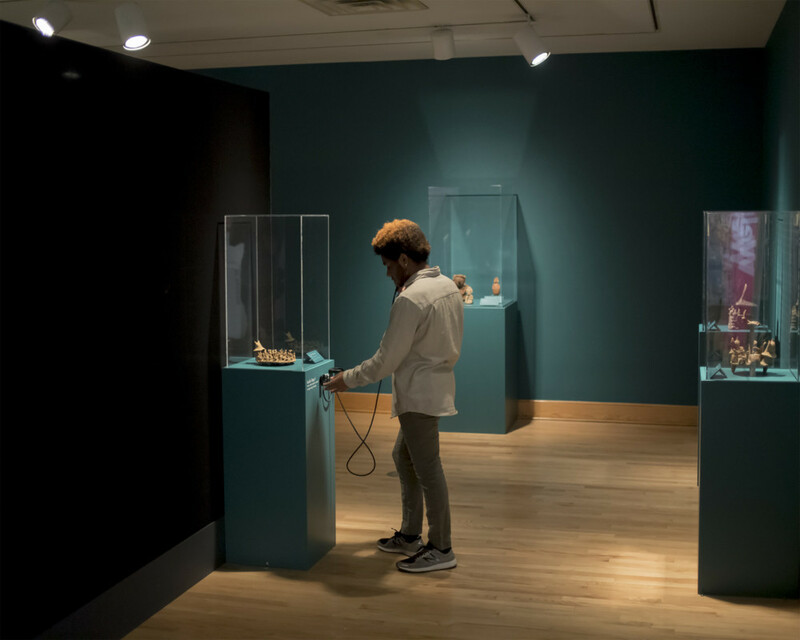 WAM provided eleven loans for an entire year giving students in the fall 2017 Anthropology 281 course the opportunity to develop the interpretation and presentation of the works, including the labels and audio tour below. 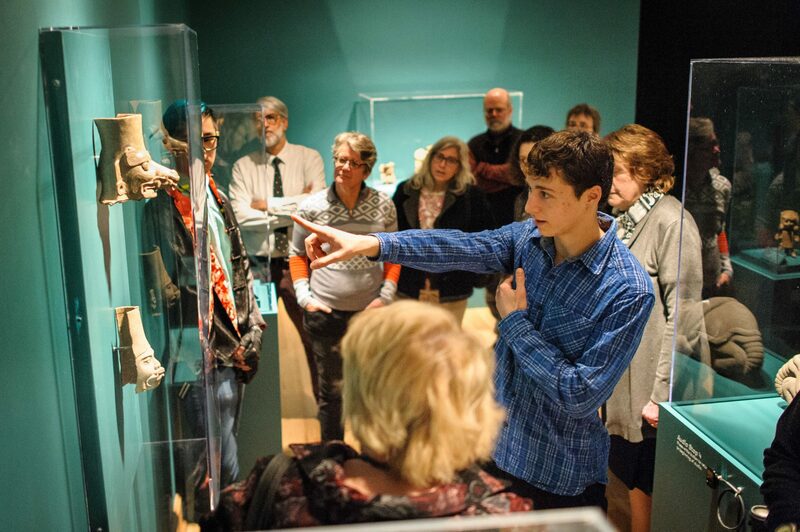 WCMA will share the students’ findings, including new titles and dates for objects, for WAM to incorporate into their collection documentation and future presentations. 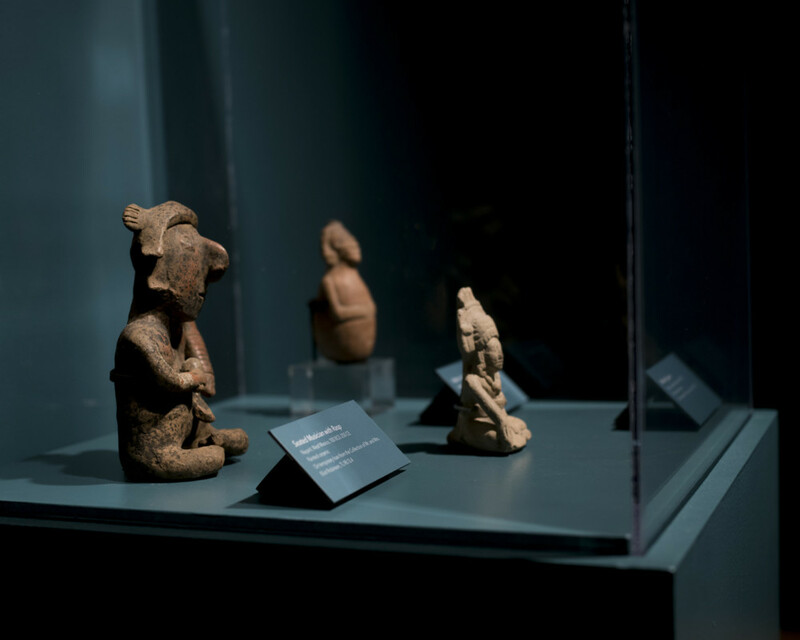 The Seeds of Divinity is curated by Antonia Foias, Chair and Professor of Anthropology, and her Anthropology 281 class. Exhibition design by David Gürçay-Morris, Associate Professor of Theatre. 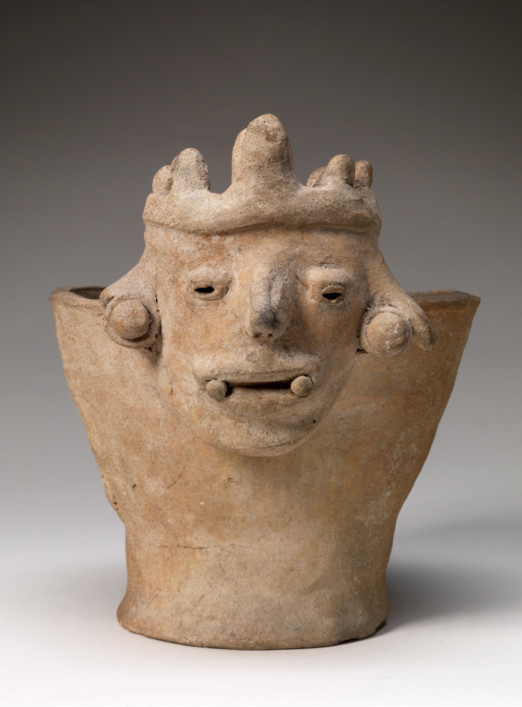 This exhibition includes generous loans from the Worcester Art Museum and the Yale University Art Gallery.